One of the youngest, enthusiastic player of the Indian U-19 cricket team, Manjot Kalra was born on January 15, 1999, in Delhi. The left-handed batsman is one of the budding talents of Indian cricket, and was part of the ICC U19 World Cup-winning Indian team of 2018. He was highly inspired by his brother Hitesh Kalra who was also an all-rounder who represented Delhi in many age group events. He started playing cricket from his school life and later played for Delhi in U-16 category where he showcased outstanding performance. 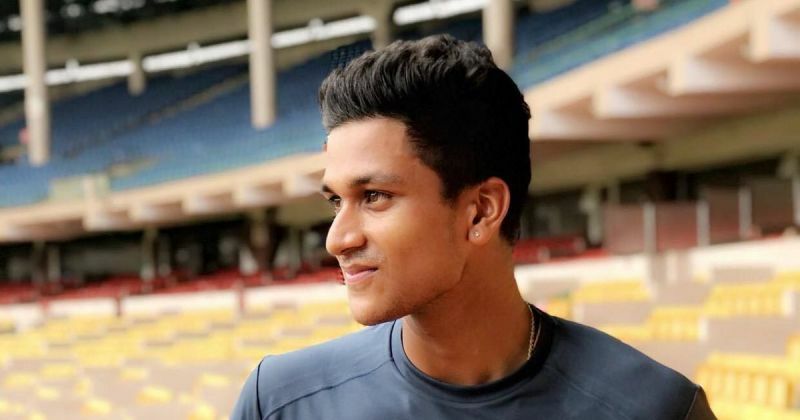 Later he represented Delhi in the Under-19 category as well and started up his professional career playing for Delhi in all age group categories. His Youth ODI debut was at the age of 18 against England in Under-19 category in February 2017. He was coached by Suresh Batra as he could see and recognize the inner talent and potential of this budding talent. With his increasing number of matches, soon he got a chance to play in Under-19 Indian team in a trip to England in 2017. He was the star in 2016-17 Cooch Behar trophy match where he scored 742 runs in 9 games representing Delhi which played a very vital role in helping the Delhi team to reach out to the finals. He scored 86 in the opening match of the 2018 ICC U19 Cricket World Cup against Australia which was his highest score until the 101 not out that took India to victory in the final of the tournament. He was alleged to be over age for his age group category but was given a clean chit by the Delhi and District Cricket Association (DDCA) and The Board for Control for Cricket in India (BCCI) in the recent past. He was grabbed by the Delhi Daredevils at a price of Rs.20 lakh in the 2018 IPL auction.